Four types of SAPO-34’s surface methoxy species (CH3-SAPO-34) structures have been studied by periodic density functional theory calculations. 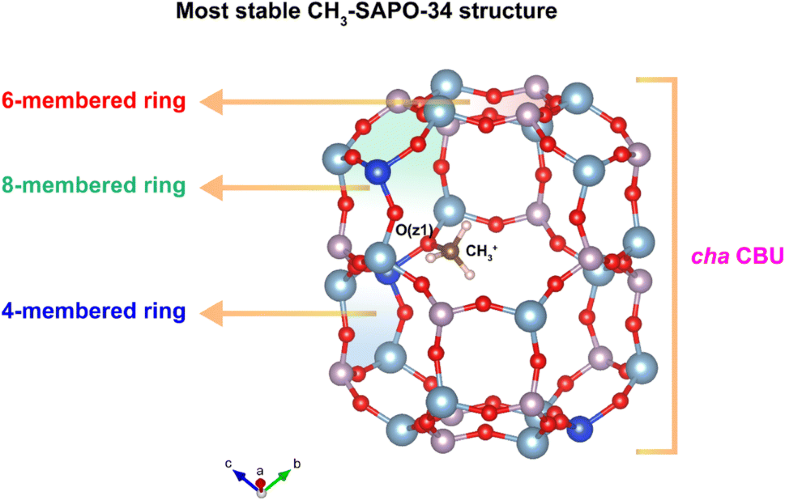 The most stable CH3-SAPO-34 structure is the methyl cation locating on the framework oxygen anion site O(z1), which is at the middle position of a cha composite building unit. 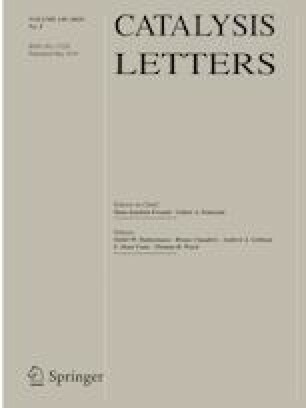 The online version of this article ( https://doi.org/10.1007/s10562-019-02774-y) contains supplementary material, which is available to authorized users. We are grateful to the Dalian Institute of Chemical Physics Methanol to Olefins Program (Grant No. DICP DMTO201601). The supplementary material contains additional figures and tables, and the structure coordinates of HZ1 to HZ4 and SMS1 to SMS4.